Mykhailo Horlovy – an accomplished sculptor, the author of monumental works in granite and bronze in Ukraine and abroad. In addition to prehisitoic themes, he is also interested in contemporary forms and has a considerable amount of abstract works. 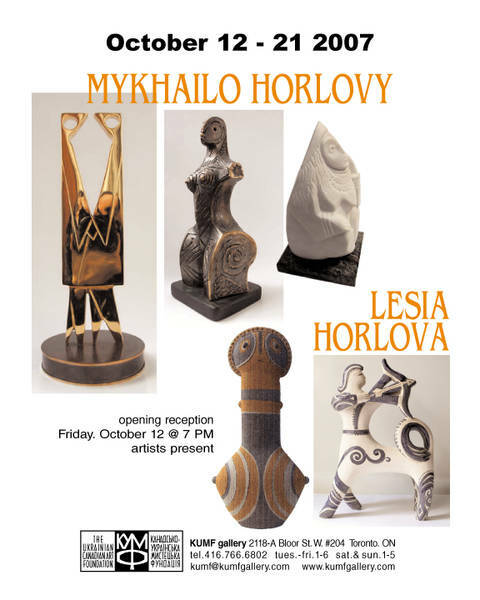 Lesia Horlova – the daughter of Mykhailo, is a ceramicist whose works range from small figures to monumental sculptures. She also works on a potter’s wheel, paints and works in the graphic arts. Inspired by historical Ukrainian themes from ancient Trypillian and Scythian motifs Lesia unites the traditional with the modern in her work.